Keep everything together with the K 1122 Portable Power Washer. 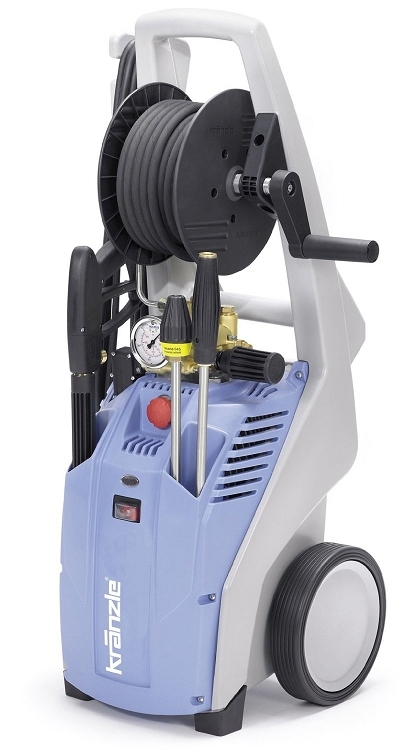 Homeowners will love the compact design and two wheel cart frame so you can roll these pressure washers around without stress. Use them to clean walk ways, strip paint, wash cars, and more with the adjustable up to 1400 PSI at your finger tips. Self Priming: Able to independently pump water from most water sources and does not require water to be pumped into it from hose. 50 FT 1/4" wire braided hose with 22MM Connections.